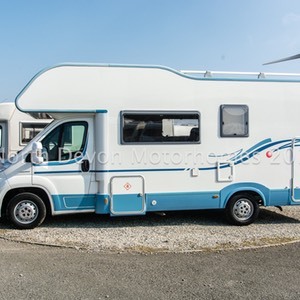 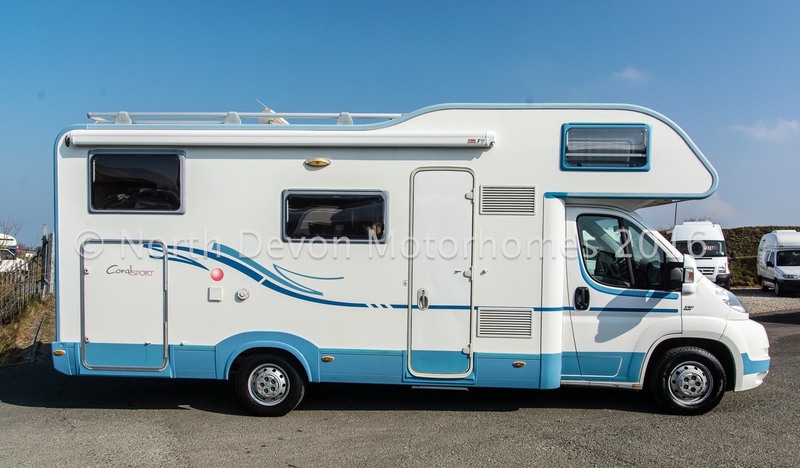 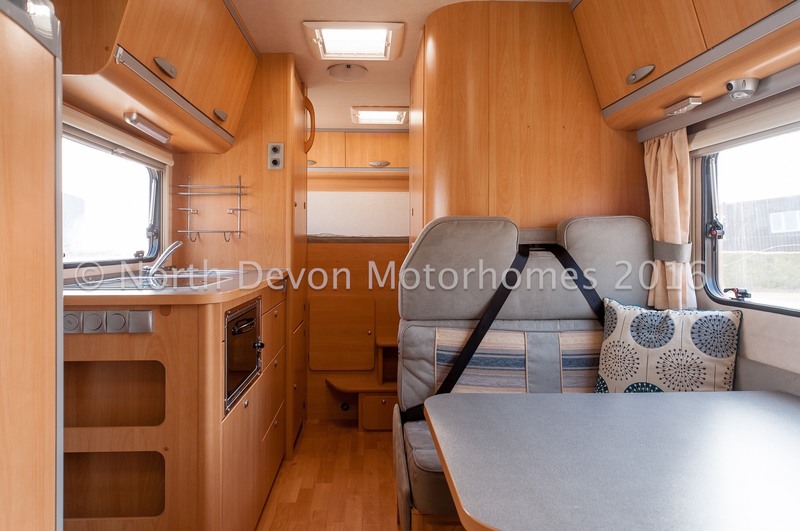 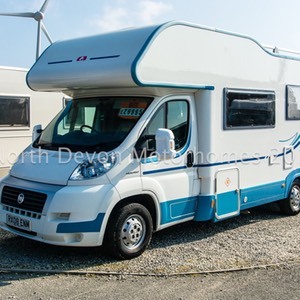 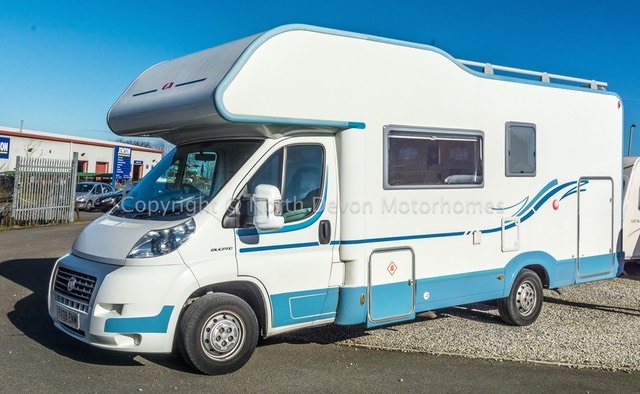 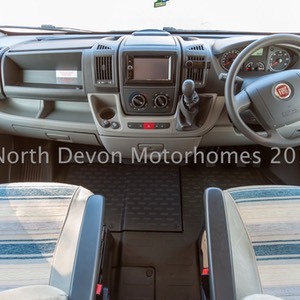 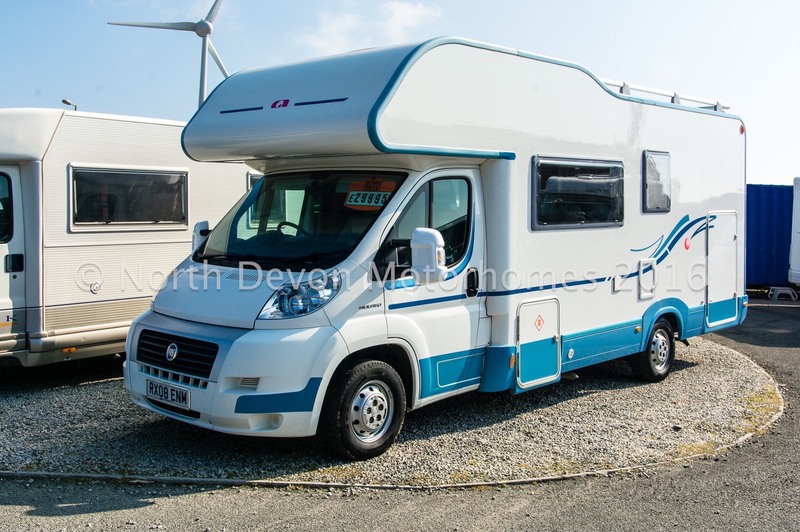 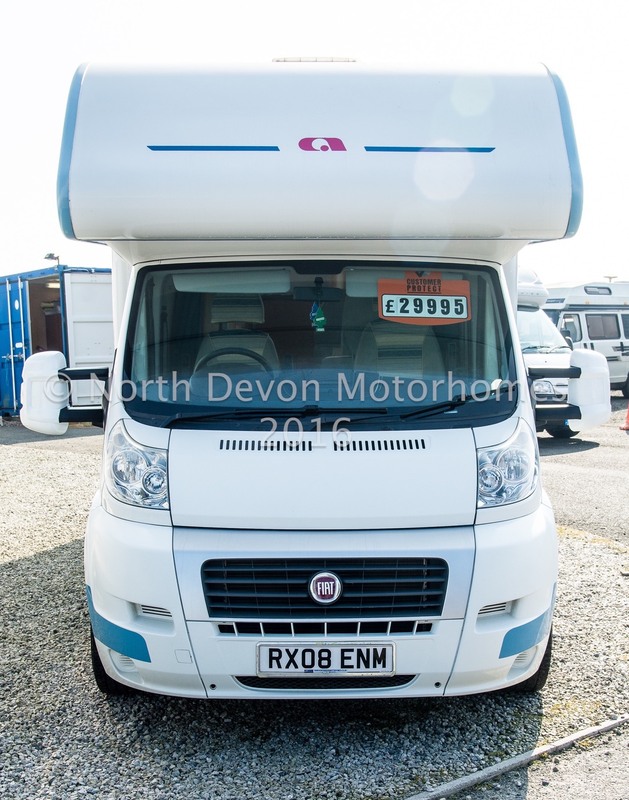 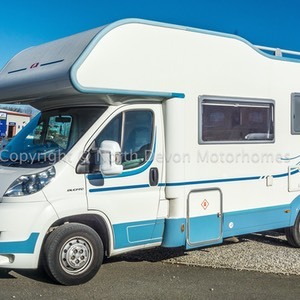 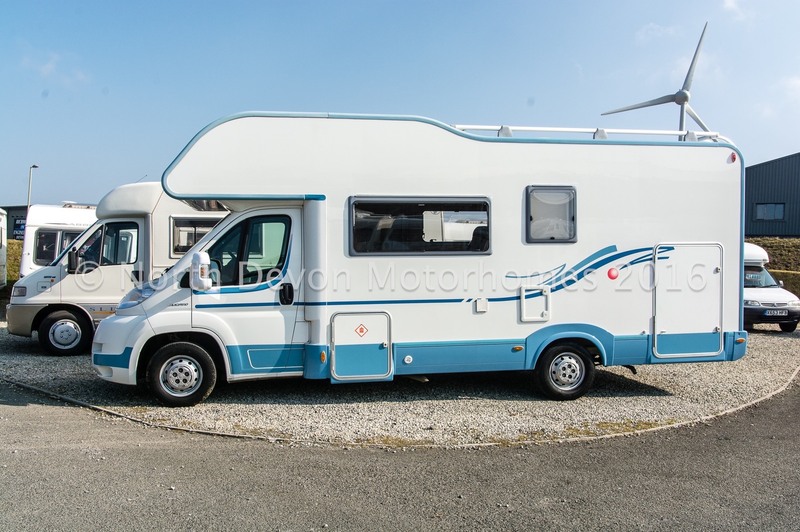 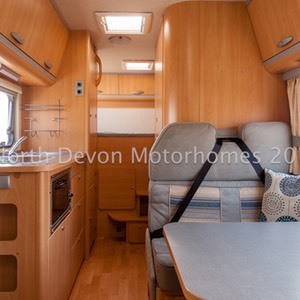 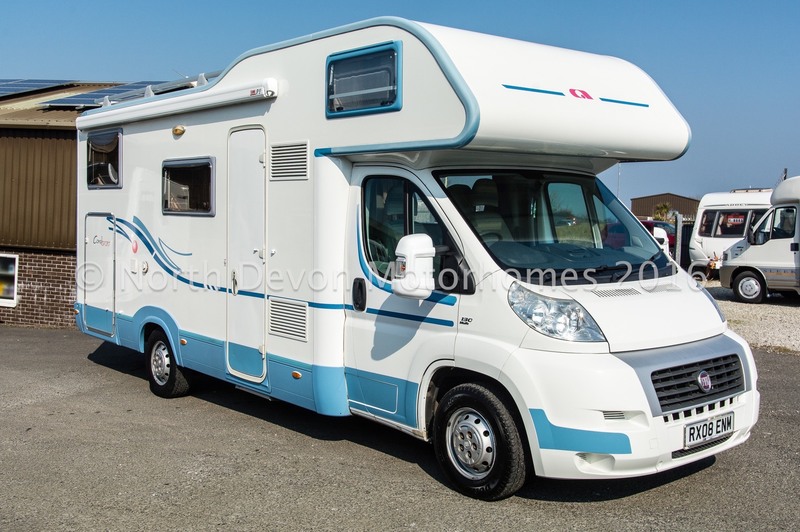 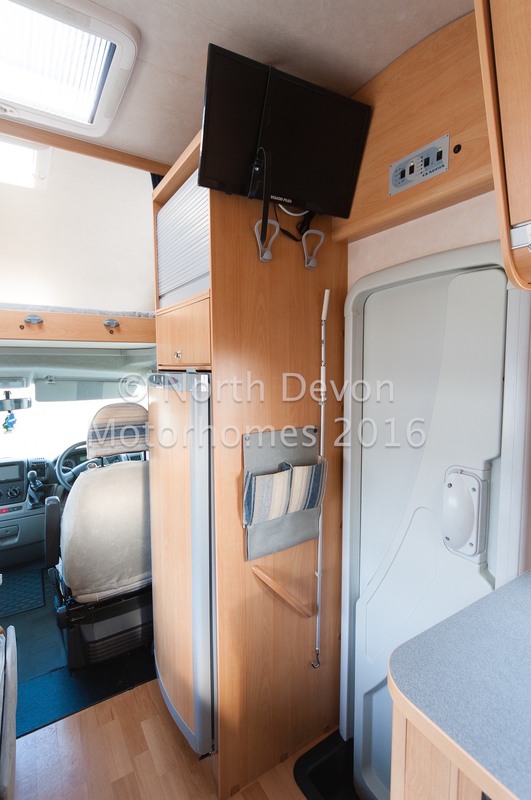 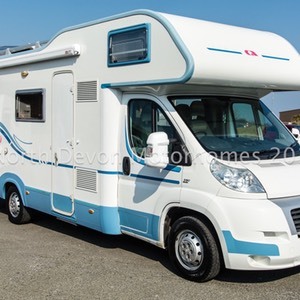 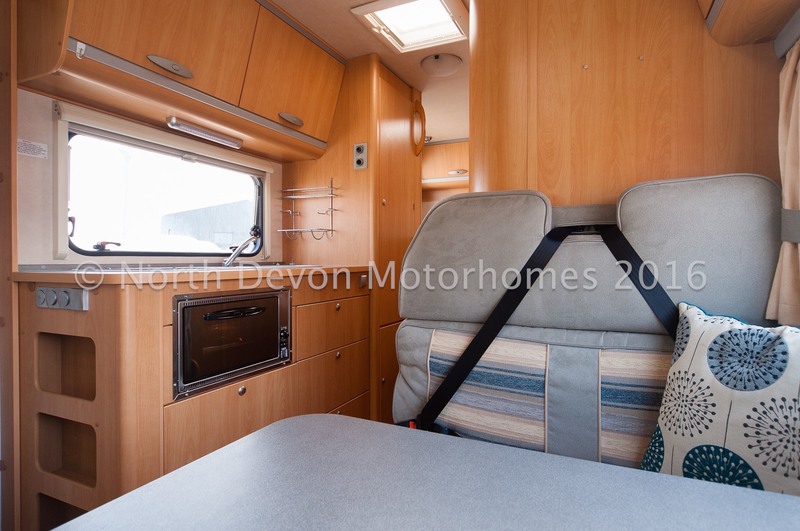 Lovely family van with a fixed bed and garage showing just 11,000 miles, 2.3 JTD 130 Multi-Jet, 6 Speed gearbox, with a max gross vehicle weight of 3500 KGS, 6 travelling seats, fully loaded with a Solar Panel, 2 habitation batteries, 2 TVs, Oven, 240v Invertor, Reversing Camera and Gaslow refillable gas system. 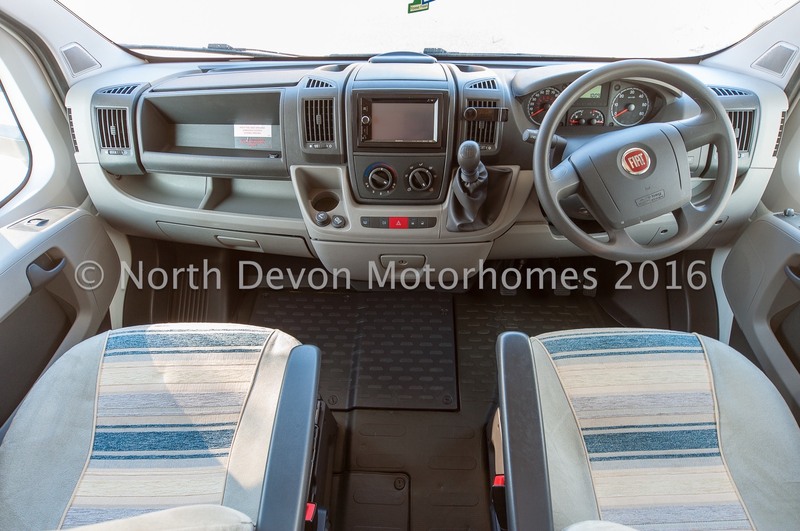 Cab: Electric windows, Electric mirrors, Central locking, Stereo player, Reversing camera. 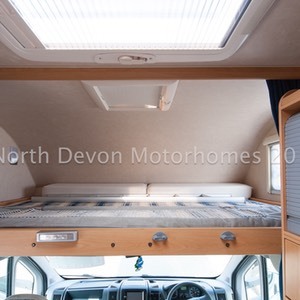 Layout: End fixed transverse bed above garage with large washroom incorporating a separate shower, Central gallery kitchen and full dinette, large fixed bed above the cab. 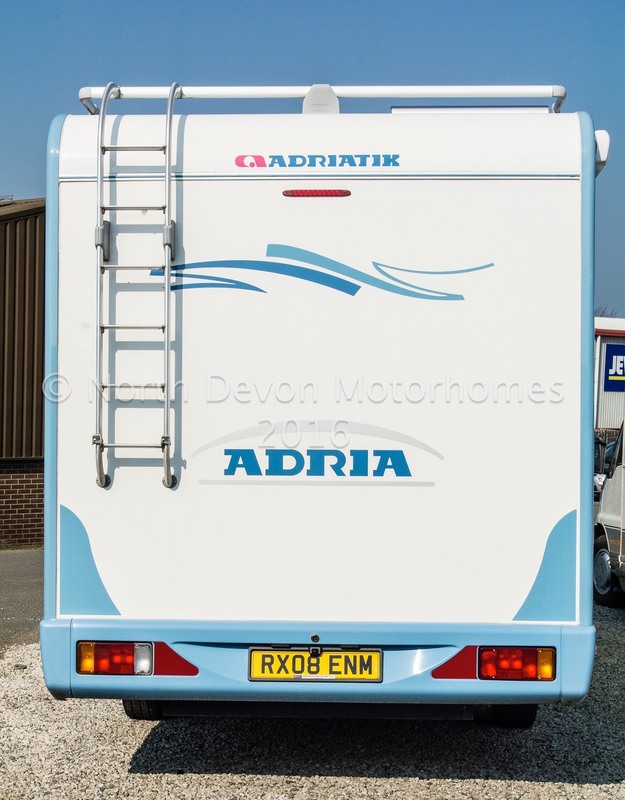 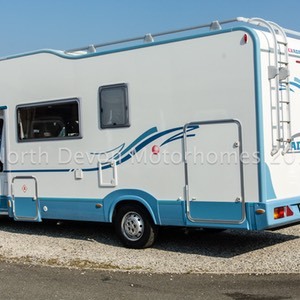 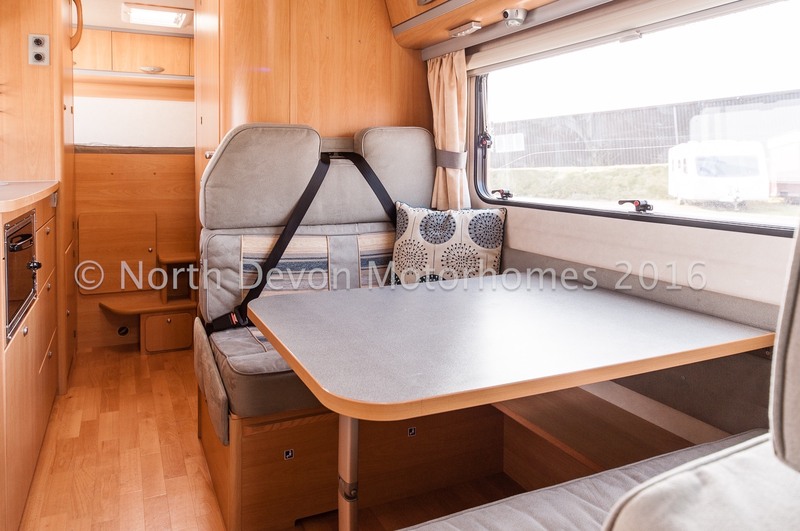 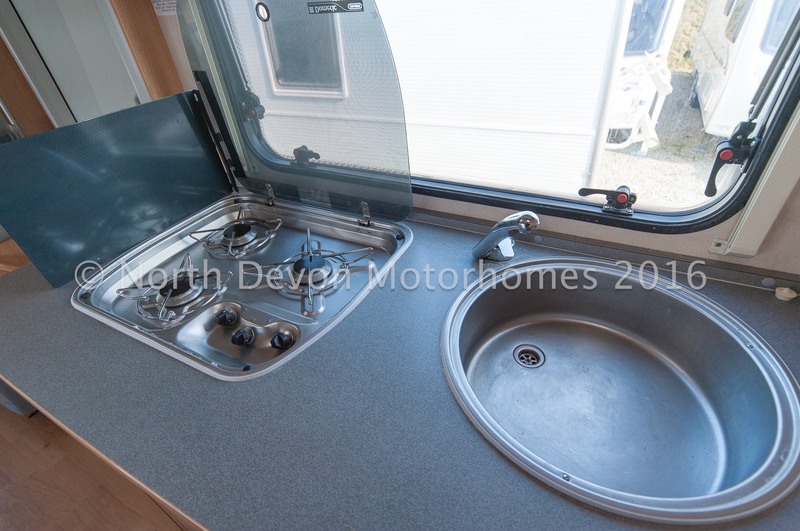 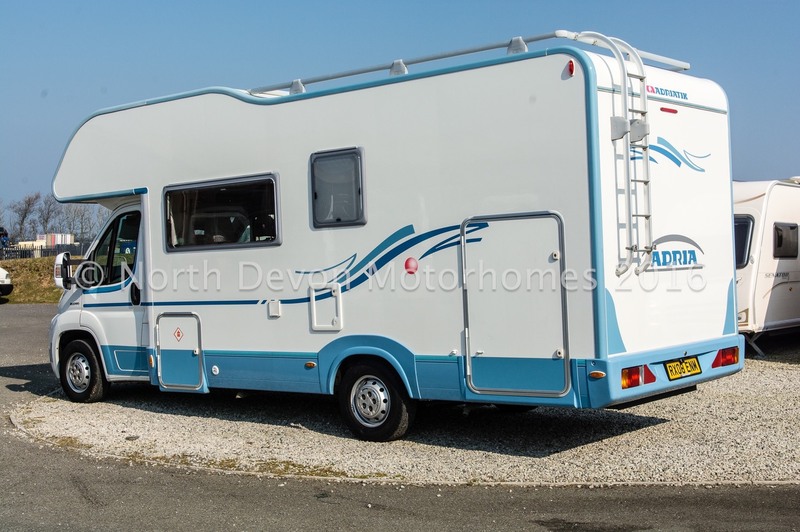 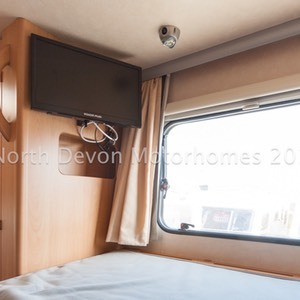 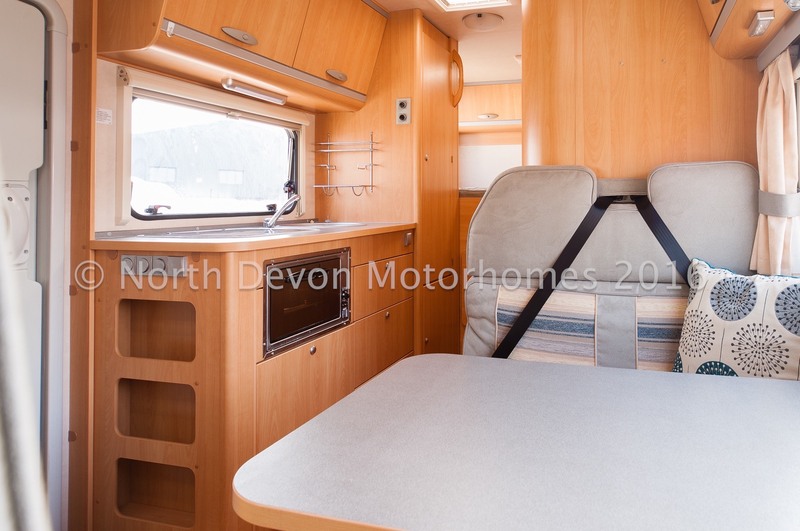 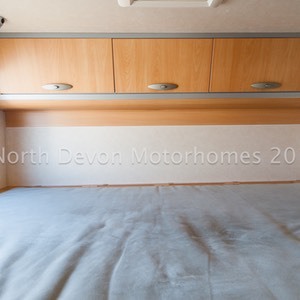 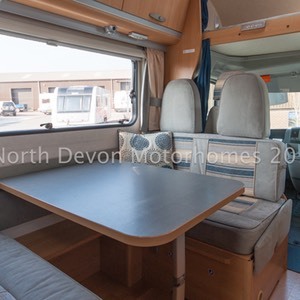 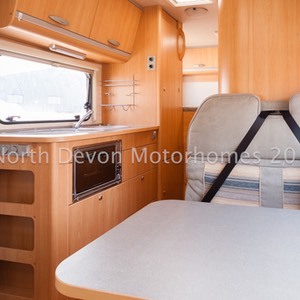 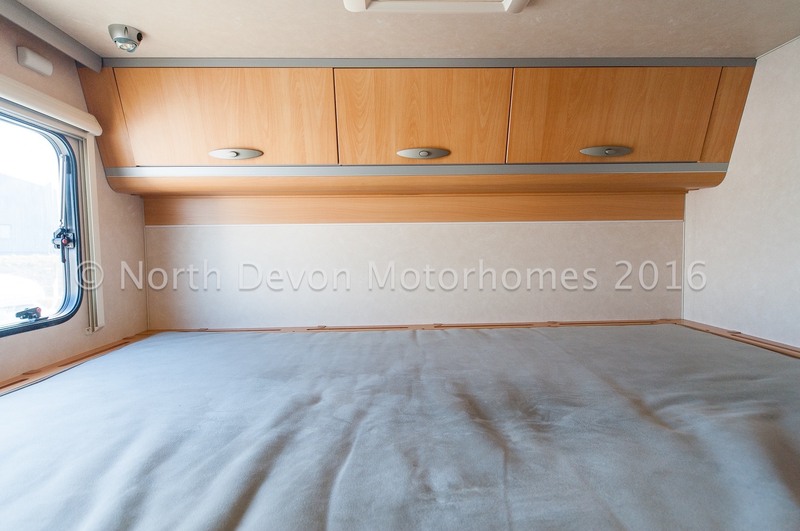 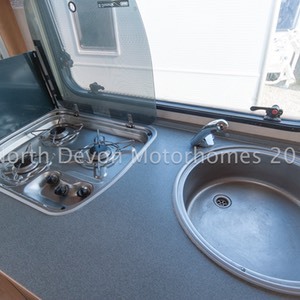 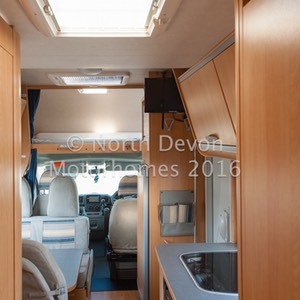 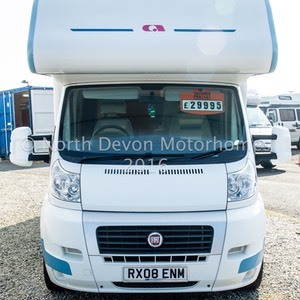 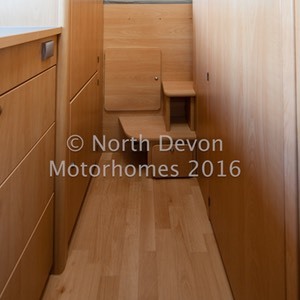 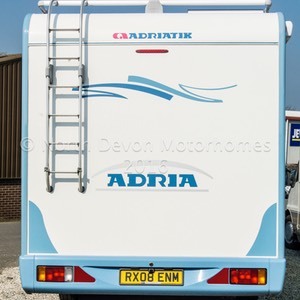 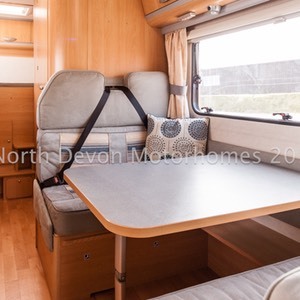 Sleeping: 6 berth, large rear fixed transverse bed, central dinette forming a large single or a good sized double, large fixed double above the cab. 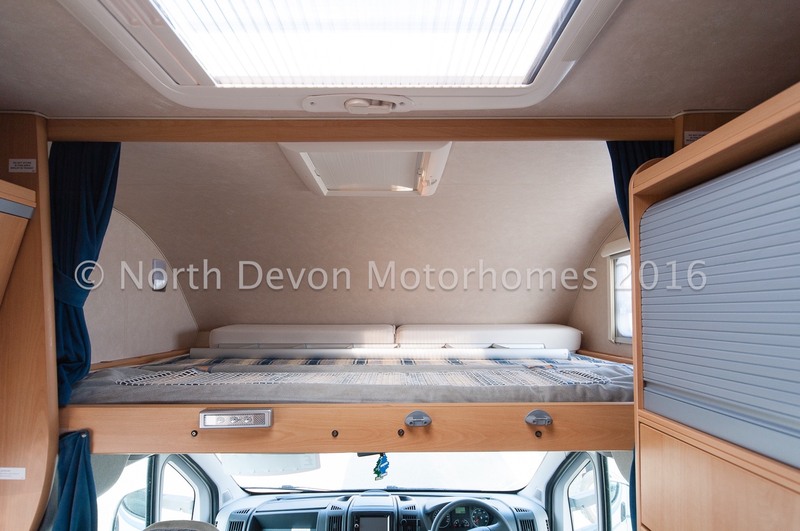 Rear Fixed Bed: a decent size comfortable high level double bed with ample overhead storage lockers with surround hot blown air heating. 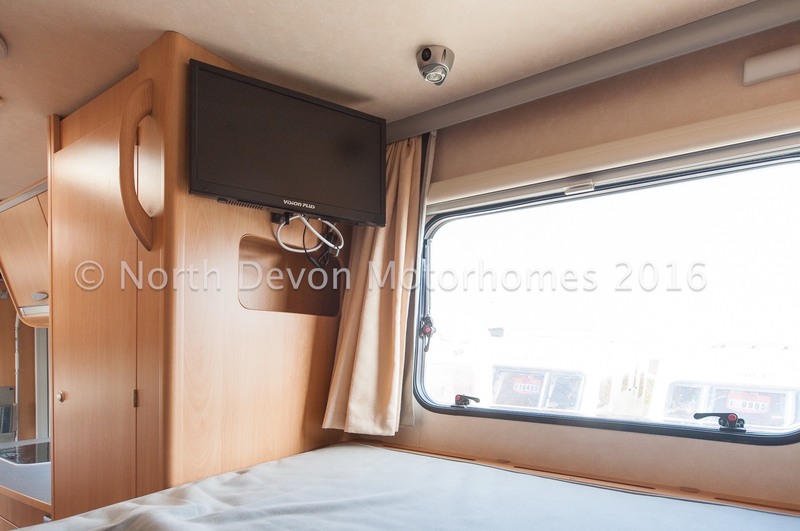 TV, and a window and skylight providing ample natural daylight. 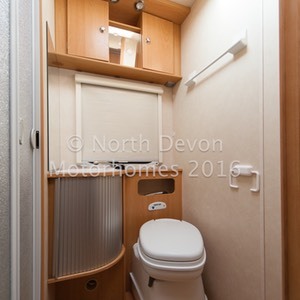 Washroom: Good size, incorporating a separate shower cubicle. 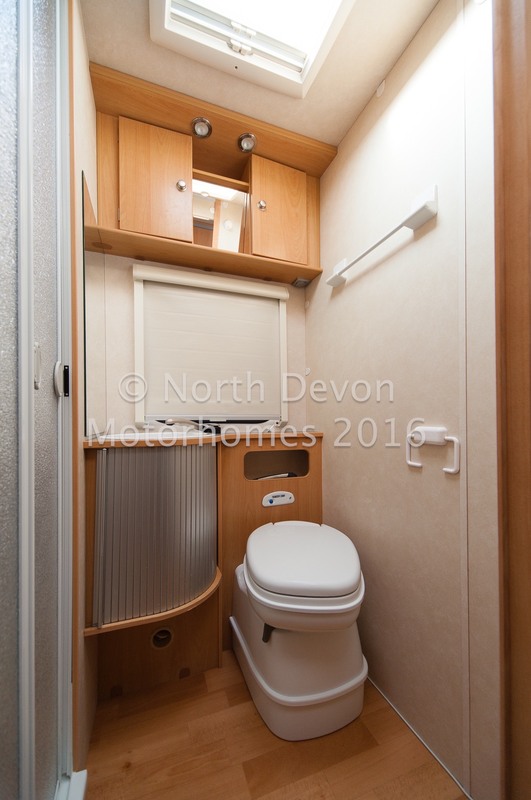 Swivel base cassette toilet, corner sink unit with built in low level storage. 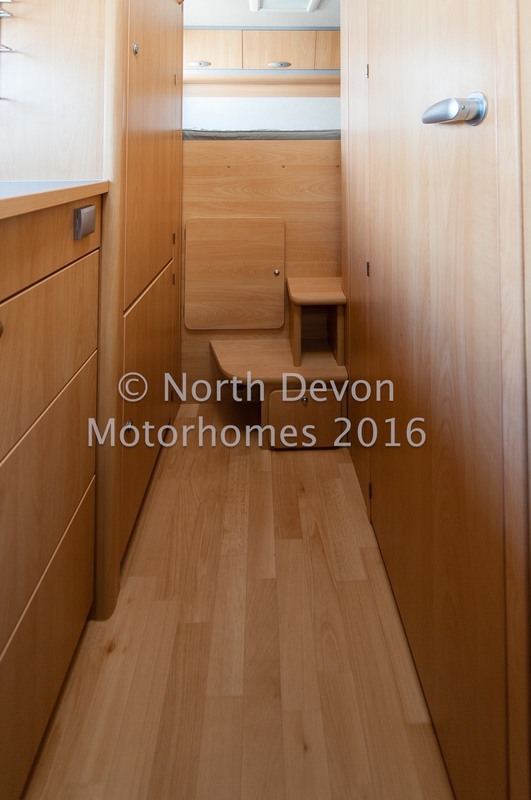 Additional high level cabinet with vanity mirror providing useful extra high level lockers. 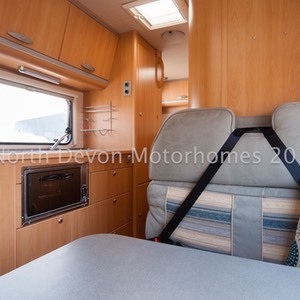 Window and skylight both with nets/blinds. 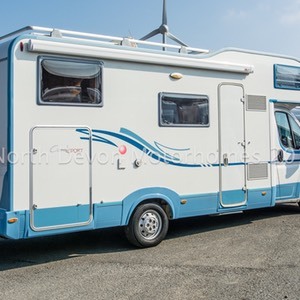 12 volt spot lighting and a hot blown air heating point. 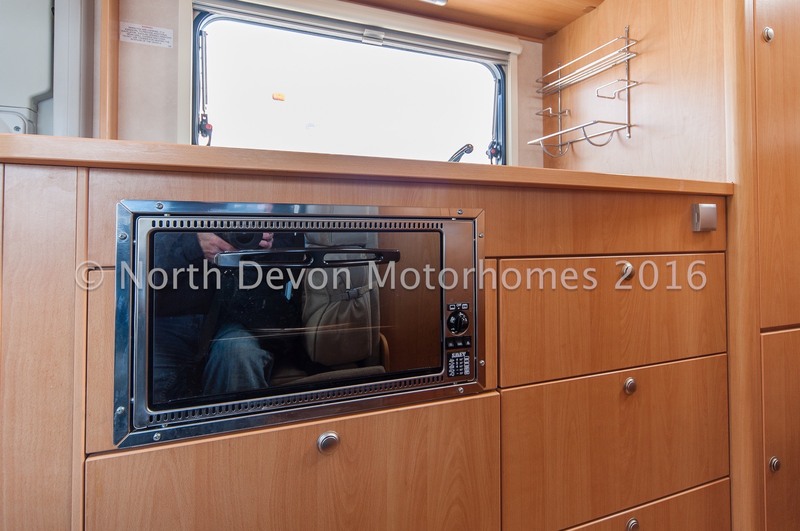 Kitchen: A good size gallery kitchen with 3 burner Hob, Oven, Sink, low level draw units and overhead lockers. 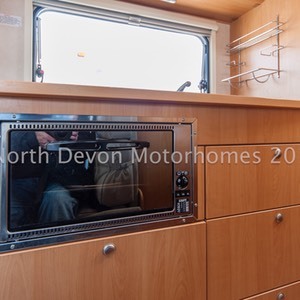 A large fridge freezer with cabinet above with power point suitable for microwave etc. 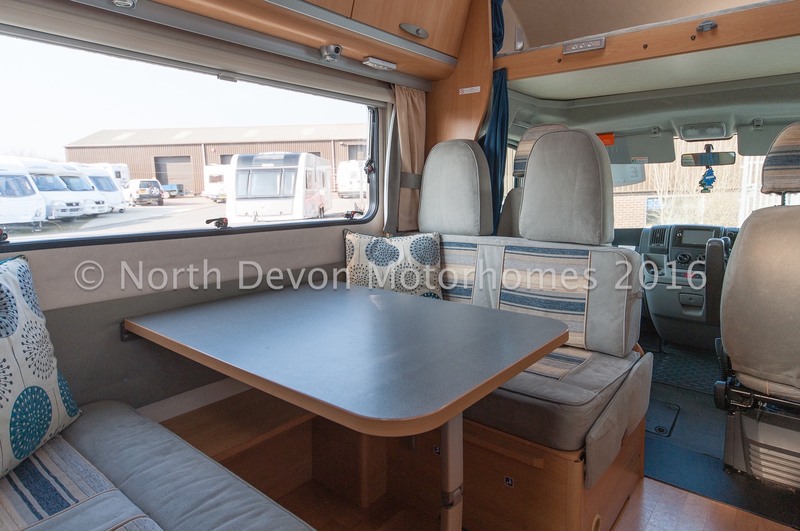 Lounge: Full dinette, with 4 belted seat belts. 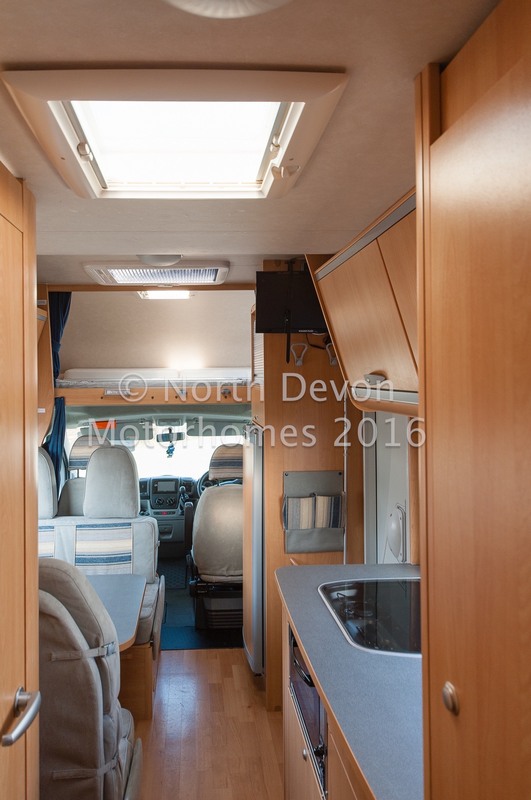 Benefiting from a good size window and a Heki Roof-light providing ample natural daylight, TV. 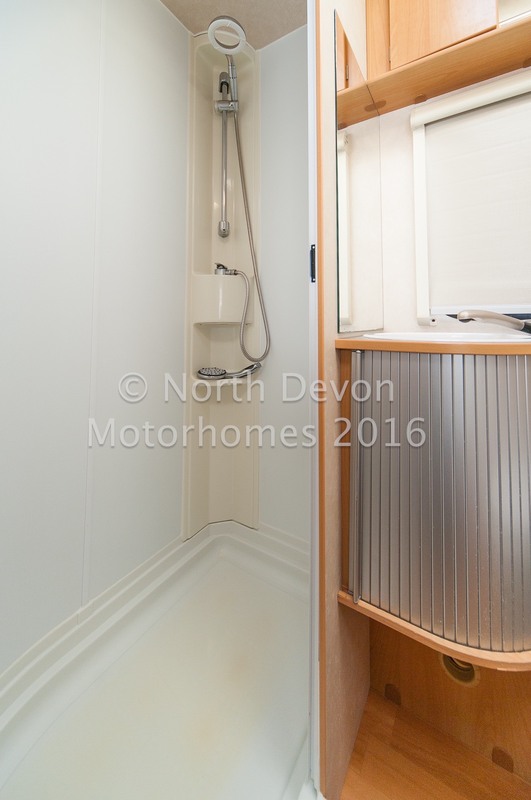 Garage: Large garage with ample room for most. 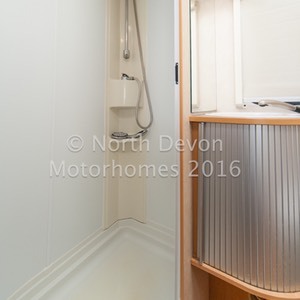 Scooter fixing. 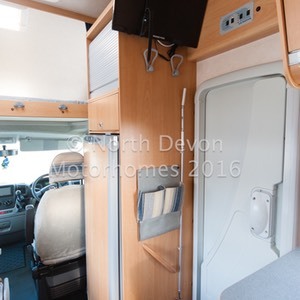 Access either side of van with blown air heating point. 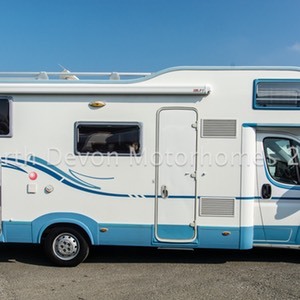 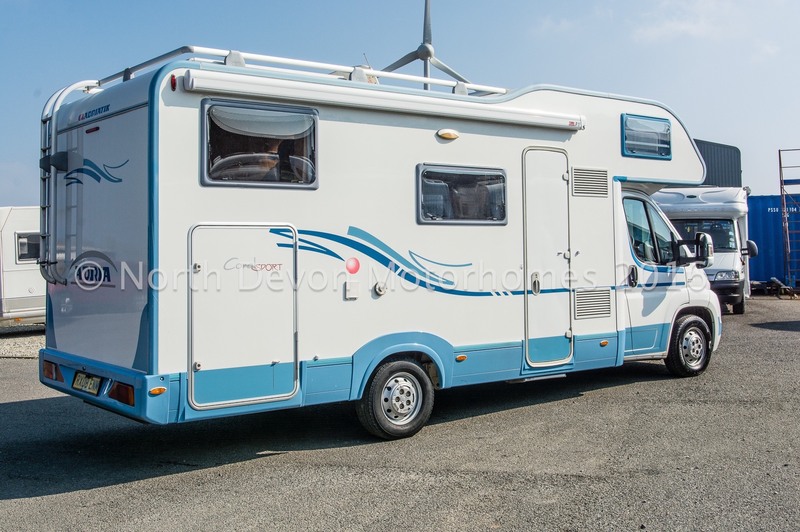 Extras: Awning, Electric step, Stereo/CD player, Reversing camera, TV status aerial, Solar Panel, Inverter, Two New Hab Batteries, GasLow System. 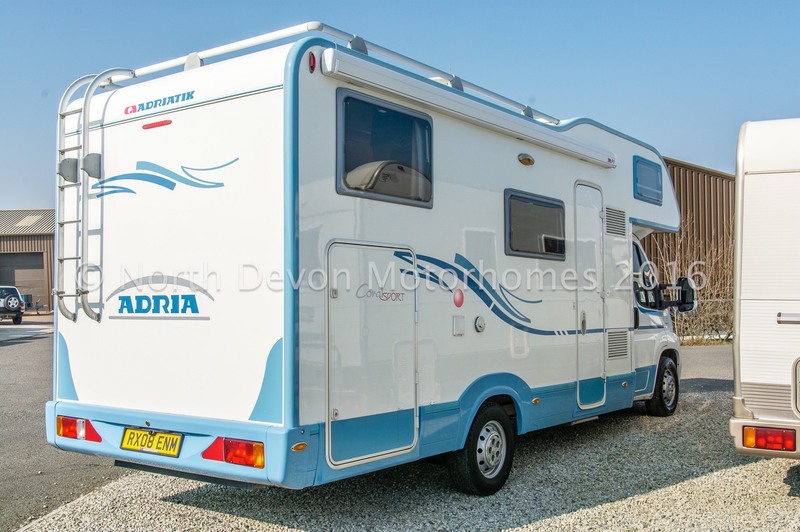 Summary: A cracking low mileage Six berth coach-built by Adria in excellent all round condition, fully loaded with extras ready for wild camping. 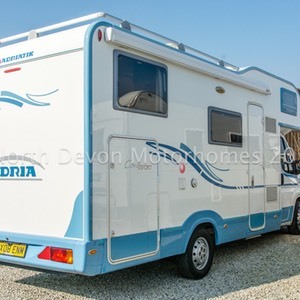 Viewing strongly recommended.